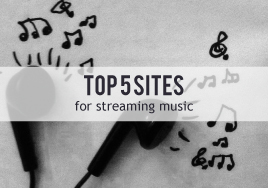 For those considering streaming music, we’ve assembled a list of five music streaming services and what it takes to get your music on each. Spotify is arguably the most popular service at this time. With its premium service, the website allows users to create playlists and save them offline, letting them listen to their music without wi-fi or cell service. The site also offers pre-made playlists and radio stations, and it suggests artists similar to those that users like. To use the service, artists must go through a third party. Visit this page to learn more. Pandora is a radio-based streaming service. They have heavily invested time and money on their Music Genome Project, which finds songs similar to each user’s musical tastes by analyzing every song for over 450 characteristics. Their instructions for music submission are pretty particular, though. ReverbNation is almost like a social media site that offers streaming. It allows you to put a plug-in/page on your Facebook page or website, which is a really useful tool. It’s very easy to sign up, and the basic profile is free, although upgraded accounts and additional services cost money. Update: Rdio is no longer available. To keep up with all the other streaming services, iTunes—the most popular service for purchasing and downloading tracks—recently released iTunes Radio. It works very similar to other radio-based streaming services; it takes note of what you listen to and plays similar music. Check out how to submit your music and more details here. As an artist, you can sign up for some of these sites individually; there are also music distribution companies that can push your music to all of these services. Generally, the distributors collect your royalties from these services (taking their cut), but you keep 100% of the rights to the songs. If you’re an artist considering music streaming, we encourage you to consider it carefully and proceed with caution. Unless the system changes drastically, streaming music is not a reliable source of income for artists, even with thousands of streams. Putting your music out there for free (or almost free) might seem like a great way to gain fans… but if you make everything free, those fans will never need to buy your music, thereby supporting you. And, most streaming services won’t provide you, the artist, with the data on who is actually streaming your music… which means you can’t contact or track those fans. On the other hand, choosing to ignore streaming might be harder than you think, especially if you are trying to make it easier for fans to discover and access it. Your best bet as an artist is to strategically select a limited number of songs to stream, and keep the rest of your catalog available by album sale only (ideally through your own website and retail platform). 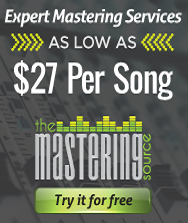 Have you made your music available on a streaming service? Why or why not? How did you choose which service to use? See also: Spotify, Pandora and Streaming Music: Should You Post Your Music? ©2019 NationWide Disc. All Rights Reserved. 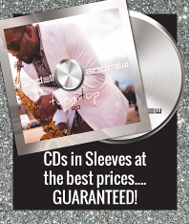 Premier source for affordable, industry-best duplicated and replicated discs and disc packages. Studio? Broker? Record Label? Maximize business presence and client relations with our affiliate program! 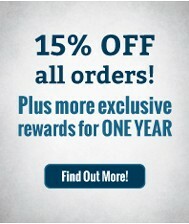 Save on disc package reorders. Quantities starting at 300. 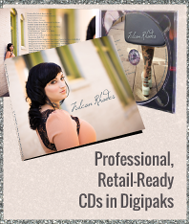 Retail-ready packages on a budget! ©2019 Source Music Distribution. All Rights Reserved.